How do you 'get' fit? A longer answer is set out below in 'Elements of Getting Fit.' By elaborating on 'how to get fit', this page aims to help people like Al devise the appropriate mindset to choose or create a safe and effective fitness program based on individual needs, personal fitness level and potential. Finally, there're some tips and links on basic fitness assessment, and the more formal fitness testing, which certified fitness trainers use. As you know, the central focus of this Site is the Sensible Fitness Program, which is a highly effective and time-efficient way for folks like Al to stay in excellent shape – using practical strategies and nutrition. This is the program I follow most of the time. Although it's a superb program for becoming fit in the most efficient way, and the one I recommend most – I also offer my audience the possibility of requesting a customized program. "A desired or improved state of health and wellbeing, increased stress-coping skills and the ability to efficiently perform aspects of physical activity, sport or leisure occupations." This is arguably the most important and one of the best ways to get fit. As 'intimidating' as it may sound, you need to know that right up-front. People who have followed a fitness program and achieved a desired physical transformation, did so mostly because of their decision to get into shape. They did not shape up merely because of favorable conditions in their lives – they did so in spite of unfavorable ones too. Like sometimes having to tackle personal and/or psychological issues along the way. Getting fit is not accidental or casual, or easy. It's deliberate, and starts with a firm commitment that no matter what, you WILL see your chosen goal through to completion. You will face obstacles along the way. But unless they're life-threatening, re-prioritize and continue with your program. The harsh truth is that giving in to adversity, more than absolutely necessary – means eventual failure. Is it your own nagging wish, or has it been medically-prescribed? I do hope it's the former. You see, fitness is so much more achievable with a clean bill of health. Pretty much anyone without a medical limitation can start a fitness program tomorrow, and safely begin a transformation. Why wait until you have to? Either way, the reason is an integral part of your decision to get into shape, so be clear about your motivations as you think about your goal. They'll influence aspects like program-intensity and duration, exercise frequency and nutrition etc. There is no point in asking 'how to get fit' if you’re going to do the usual "well, I’ll give it a try and see how things go." Besides, your motivation depends heavily on your goal. Whether you're going it alone or being guided by a trainer, it remains key that you have a well-defined and documented goal. Is it primarily weight loss; do you want to add a few pounds of muscle; or is it some other fitness-goal? The choice should also be measurable (like how many pounds?). It should have a deadline. It should be challenging and ideally rewarded upon completion. Yes, spoil yourself in some way – but ONLY if you succeed. If you're one of my clients, you already know about this means because I will have done lots of it with you. Knowledge and information-flow tie into my philosophy of 'sensible.' These are effective remedies against the confusion created by the fitness industry. You could also simply ask. However, at least get informed about the characteristics of fitness that relate to your condition, potential and choice of program – not only to get you fit, but also for further down the line when you decide on a more specialized program. At that point, calculating your Body mass index (BMI), total daily energy expenditure (TDEE) and carrying out some of the formal fitness testing will become more pertinent. This is the embodiment of your impulse or 'need' to act. Your mental, emotional and spiritual fuel for success. You'll have seen elsewhere on the Site that I am a keen proponent of the relationship between physical wellness and non-physical components of fitness. I firmly believe that it is difficult to have one without the support of the other. Together they add up to overall wellbeing. As this page is not meant to be exhaustive, we'll look at motivation in brief. Factors which impede getting into shape are certainly pertinent, and will be dealt with in detail elsewhere on the Site. One crucial facet of my work as Fitness Coach, is that I'm involved with all phases of a client's program activity, providing maximum support and guidance. It goes without saying that trainees fare better with their challenges when they're acknowledged, praised and rewarded. What will also be of motivational help, is making your goals known to your close relatives and within your social circles. Why hedge your bet? In case you fail? Don't. These people may even join you, making 'how to get fit' even more doable. By spreading the word, I don’t necessarily mean via social networks – unless you're up for the additional pressure and communication buzz. Rather, keep it to your family and closest relatives or friends. Don't get distracted though. And forget the naysayers. They love projecting their cynicism on others, because your success threatens to show them up. Yes, the cold hard truth is last on the list. Where the unappealing no-longer-wanted 'you' meets starvation and hard-labor. Only kidding – read on. Unless you're one of my more-informed clients or associates, the fitness industry will have you think that you need to give up normal living and eating. This is nonsense. Let me again state that 'sensible' means you won't have to become alienated from society. (Read more about sensible on the FAQ page.) You will however need to put aside time and be consistent with the program you choose. Here's the bottom line though: Yes, there is work ahead – regarding both nutrition and physical exercise. You will also have to do some thinking, planning and recording in the beginning. But, as you get used to this approach and doing what you need to do, your body adapts, you begin to look and feel stronger. You will have more energy. Things start becoming easier and second-nature. Most of my training and nutrition protocols have become instinctive with many years of using the Sensible Fitness Program, other than on occasion when I'm trying out different protocols. IMPORTANT: If you suffer any severe or ongoing anxiety or depression about your physical condition, please get help from qualified medical staff. There is no use in wanting to get fit and healthy if you're struggling with a mental, psychological or any other related issue. Aside from 'how to get fit', what about 'why' we need to get fit? Or 'why' exercise? This is the best part of getting fit because of the outcome: your prize. If you did things right, and were successful, then you're onto a bright future. But probably even more important than the physical transformation, are the longer term non-aesthetic benefits of fitness, which you'll be thankful for in time. Younger people pay little attention to health-related fitness, but it's a very important investment. And what better example could there be for those of us who have kids, than for them to see us in a sustainably fit and healthy condition. So, once you reach your objective, all that’s left to do is celebrate – and carry on being fit! Don’t let me down. You can do it! I think I understand how to get fit. Where to next? If you're relatively new to fitness, then this page is an important part of your 'taking stock' before starting a program (like the Sensible Fitness Program, your own or a customized one). Please pay due attention to the page on somatotypes. Important to keep in mind, if you're just starting out: do yourself a favor and get a health screening done by your family physician. 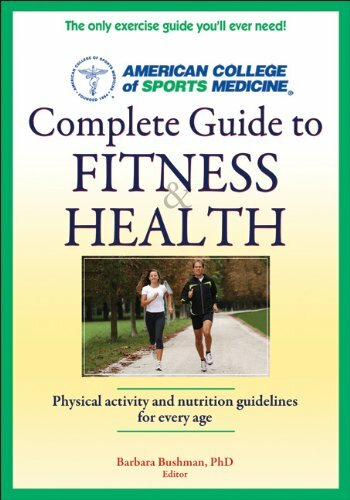 It's important to know the status of your personal fitness, so as to understand your physical readiness for exercise, as well as any limitations or risks. Lastly, it bears repeating that, in the true spirit of the sensible way, it's always highly-desirable to become acquainted with fitness as a whole, your own particular situation and your potential for shaping up.